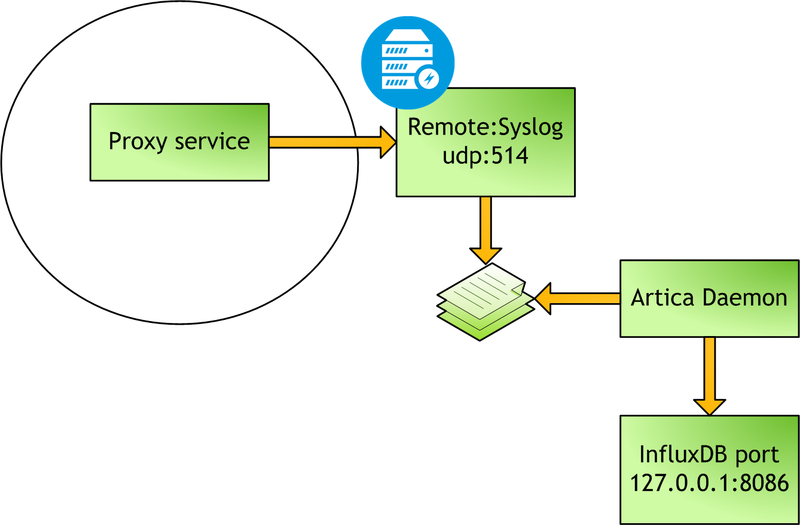 Send events by syslog is a feature designed to increase performance on the proxy box for statistics purpose. To use this feature, you need a statistics appliance and Artica v2.11.062812 or above. By default, the proxy server is in charge to analyze real-time events, compress events and save statistics events to the statistics appliance remote port ( 8086 TCP ). An Artica service is in charge of analyze real-time events and perform inject statistics to the InfluxDB port. The proxy service must write events on local disk. An artica process is running to analyze real-time events and compress them. When using several proxy servers the InfluxDB port increase it’s resource in order to open a 8086 port for each remote server. This feature shutdown the local Artica service and the remote statistics appliance is in charge to analyze real-time events and inject statistics to the local InfluxDB port. No local Artica service is running on the proxy box. 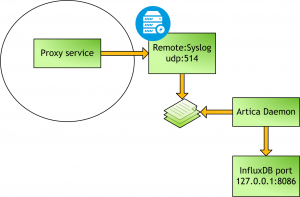 When using several proxy servers, only one port ( 127.0.0.1:8086). 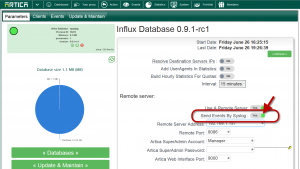 This reduce resource on the InfluxDB service. 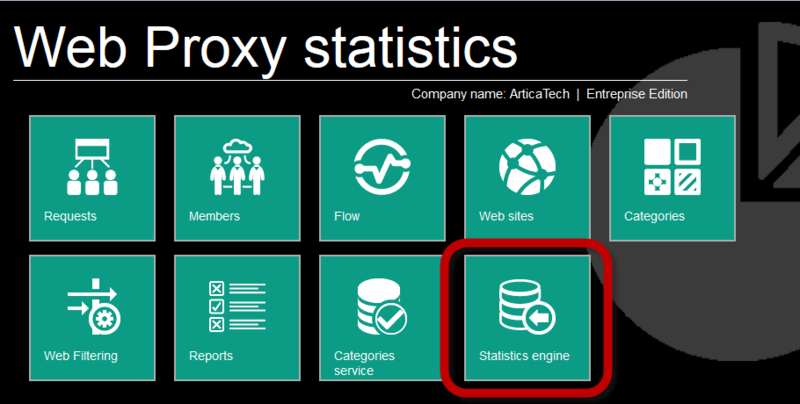 You are able to see all servers real-time events on the Statistics server trough Artica Web console. On the TOP menu, choose Statistics. Turn to green the Use a remote server option.